East Austin Mobile Auto Repair, is a family owned auto repair shop located in East Austin, TX. We offer general automotive repair/diagnostic services completed in a timely manner. We use standard repair book time for labor at competitive hourly rates. We value our customers, many of whom have been with us for several years and we will work around the customer's schedule and provide transportation services. East Austin Mobile Auto Repair works with many different auto parts manufacturers and you can specify Original Equipment Manufacturers (O.E.M) parts or lower cost aftermarket parts. We offer many different services from general repairs to small modifications. If there is anything specific you are interested in, please ask and we will see what we can do for you! One thing you have to remember and that is, only a reputed and certified mobile auto mechanic can save your time and wallet. So, don't think twice, just make a call East Austin Mobile Auto Repair that can reach out to you at any time in any condition to serve you. 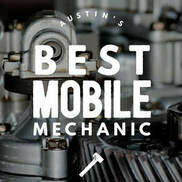 Austin Mobile Mechanic: 512-746-7277 Mobile Mechanic East Austin, TX.